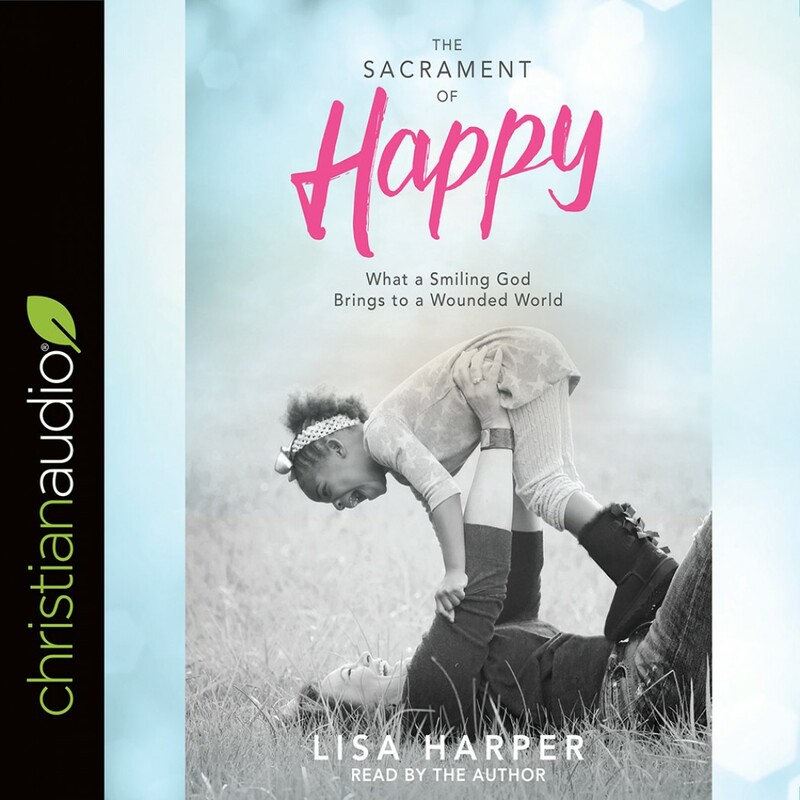 The Sacrament of Happy | Lisa Harper | Audiobook Download - Christian audiobooks. Try us free. Wearing the twin hats of seminarian and belly-laughing adoptive mom, Harper delivers a warm, vignette style built upon solid theological scaffolding. She observes, for example, that God’s choice of wording for the first verse of the first psalm (a word often translated as “blessed”) literally means happy—one of many biblical reasons for dismantling the old-school idea that joy, not happiness, is the truly spiritual one of the Christian family. In truth, they’re more like fraternal twins than distant cousins, meaning we as Christ-followers are not called to jettison happiness—like a no-longer-needed set of spiritual floaties—as we learn to swim in the deep waters of intimacy with God. Beyond merely a circumstances-based, up-and-down emotion, happiness comes from a deep conviction in the unmitigated goodness of our Creator-Redeemer, freeing us to feel and express genuine joy, fulfillment, and contentment, regardless of personal or global tumult. The author’s personal story includes such happiness killers as sexual abuse, the deaths of near loved ones, a heartbreaking failed adoption, followed by the arrival of an adopted daughter from Haiti who is HIV-positive. Yet she writes on themes like: “The lost sacrament of laughter”—“Does happy have a personality type?”—“Tuning out the Pharisees who try to mute your happiness in the context of spiritual maturity.” So this is obviously not a book of trite, untested clichés. It goes well beneath most people’s surface understanding of happiness, gently guiding readers closer to the heart of God . . . with naturally a few genuine laughs and grins to enjoy along the way.